This past one week has been on a fun roller coaster. 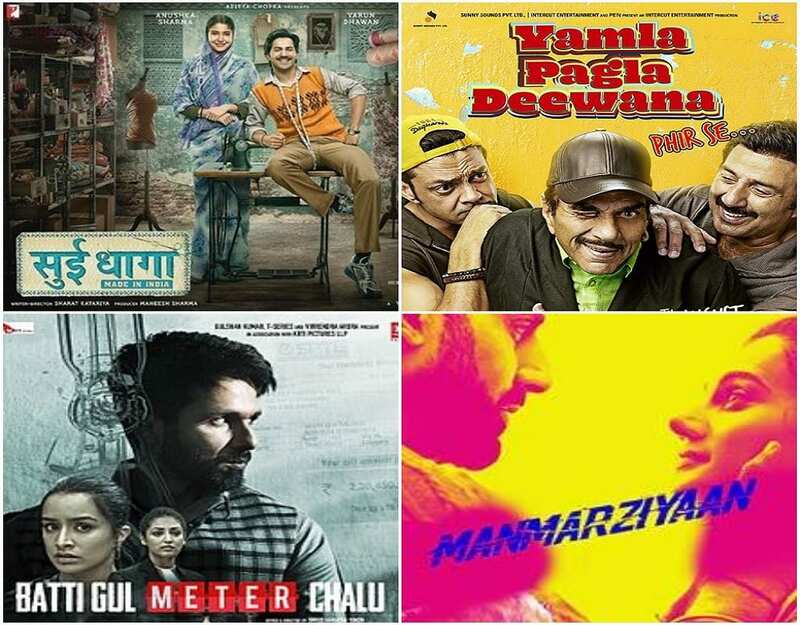 With many Bollywood movie trailers releasing, the India cinema looks promising! Released on 13th August 2018, Sui Dhaaga – Made India is a motion that makes the impossible, unstoppable! Starring Anushka Sharma and Varun Dhawan, this movie has already set the records. Why and what the movie holds can only be answered, once you have watched the movie trailer here! When the first flick of the Yamla Pagla Deewana came, we all were in praise but with its second installment failing to make us laugh in some ways made us think twice about its future installments but with Yamla Pagla Deewana Phir se coming out this year, this has put a complete full stop to all the speculations. With vintage songs in the line to the guest appearance from Salman Khan itself, the movie is all set to make things right. The cast of the film is the same with a bit of more add-ons, but the best part from the movie remains inside the box. Till the enjoy watching the trailer here. All the cast of this movie is good with Taapsee Pannu, Vicky Kaushal and Abhishek Bachchan onboard, we are finally thinking of a new age love triangle movie but with the trailer of this Bollywood Movie has something else to tell. Our best guest reflects towards the Tanu Weds Manu thing which was and is one of the best movie entertainers of all times, yet things look similar with it via this trailer shown here, watch it and tell us what do you think. Shahid Kapoor and Shraddha Kapoor starrer Batti Gul Meter Chalu is a perfect movie to watch on the social issues. Set in the Uttarakhand sub-urbs, the move shows a struggle faced by the people with the electricity board. Plus, we all have known that how the Board sends us illogical bills going as high as lakhs and gets away, but not this time. Because this Bollywood movie trailer has the man, who doesn’t like to sit back, light candles and go on a dharna! See the trailer here to find out more. Once you have watched all the Bollywood Movie trailers, we would be happy to have you reactions and comments. If you want your friends and families to watch these trailers, you might as well want to share them. Isn’t it great – Sharing and Caring! ← Sui Dhaaga Movie Logo revealed, Check Inside!